I’d like to invite you to join the Worldwide Community Monday January 28th at 6:30pm for a LIVE broadcast event celebrating the birth of Marshall Vian Summers – who has brought us Steps to Knowledge, The Allies of Humanity Briefings and the 9000 revelation of The New Message from God. Please send in your stories, reflections, art, music, photographs, videos, poetry or any other personal expressions you have created that are inspired by Marshall, The Allies, or the New Message from God. We will showcase everything on the Live broadcast. This is a global open-mic event and everyone is invited to share and express from all places in the world. As I look back over my life with Marshall I see that he has given so much of himself, he has given all of his life for this and look what has arrived on Earth as a result: 22 books, 820 original recordings of the angelic voice, 365 Steps to Knowledge and thousands of relationships, with you and others around the world, who are now joining him in his vital mission to bring a new awareness, a new education and a new way forward to a world struggling under the shadow of decline, conflict and an intervention from the Greater Community. What else could we be a part of that is this big, this important and this historic? Now the road stretches out into the year 2013 and beyond. We are the people who have received the gift of Marshall’s life work, labor, suffering and history-making revelation. We are the people who have stepped forward to receive, from his hand into ours, a new way forward on Earth and to take the first steps…steps to Knowledge and steps to reunion, redemption and relationship with God. A new hope and a new pathway are in the world and we’re the first to walk it. Let us take this evening to pause on the road, and honor the man who is the source of it all – Marshall Vian Summers, The Messenger for a New Message from God. If you host a local event, bring along a camera or voice recorder and capture the overflowing inspiration that is bound to be expressed by you and others. Whatever you’re experiencing, others need to hear and feel. 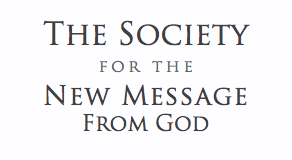 We are the Worldwide Community of the New Message – getting close and ending the separation is what we’re all about.